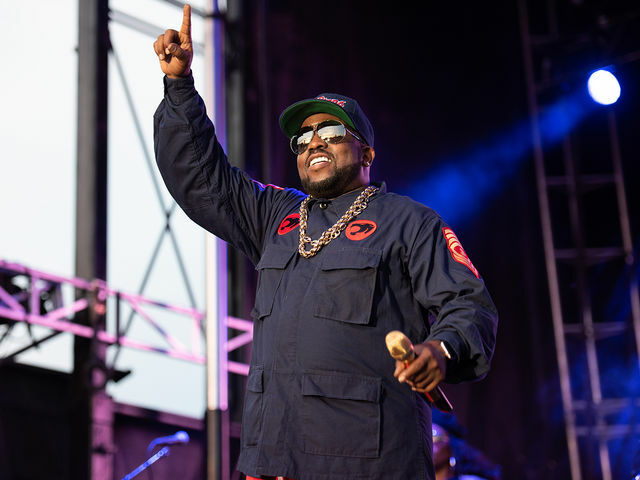 Fresh on the heels of his Super Bowl Halftime Show appearance, Big Boi has announced that he’s getting Atlanta’s legendary hip hop collective Dungeon Family back together for a tour. The tour will see performances from Big Boi, Goodie Mob, Organized Noize, Sleepy Brown and KP the Great. While André 3000 isn’t on the bill, Pitchfork reports that the two legendary rappers performed OutKast songs together the last time Dungeon Family got back together in 2016. So there’s that. The 10-date tour kicks off on April 14 in Chicago and will hit major markets in the U.S. including New Orleans, Dallas, Atlanta, Washington D.C., New York, Philadelphia, Boston and more. The tour wraps up on April 27 in Ashville, North Carolina. Ahead of his Super Bowl appearance, Big Boi released two new tracks, “Doin’ It” and “Return of the Dope Boi.” You can check out the video for “Doin’ It” featuring Sleepy Brown above or see below to listen to “Return of the Big Boi" featuring Killer Mike & Backbone. For those who may be unfamiliar, The Dungeon Family hip hop collective was extremely influential on 21st-century hip hop, especially in Atlanta. The Atlanta hip hop renaissance blossomed from the work of 1990s Dungeon Family groups like OutKast, Goodie Mob, Organized Noize and more.